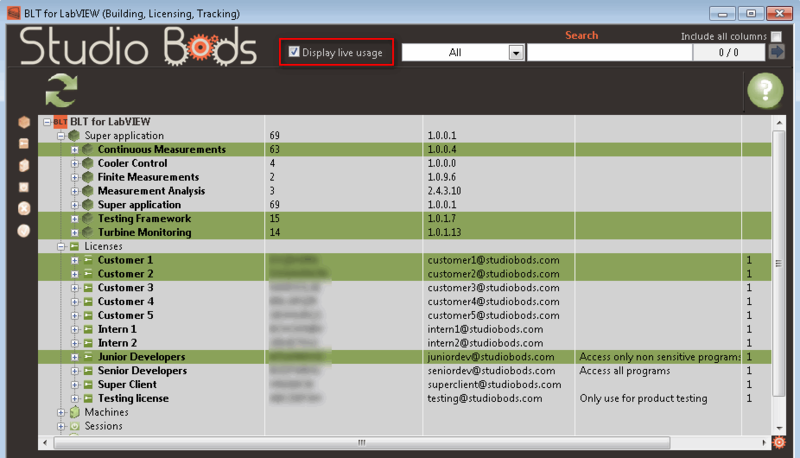 Live Usage allows you to display lively who is using a product. When enabled, Products, Licenses, Machines, Deployment licenses and Sessions currently in use are highlighted on the tree. This is an experimental feature. Enabling it will increase the time to load and refresh the tree!